Well Packaged and arrived very quickly the next day. 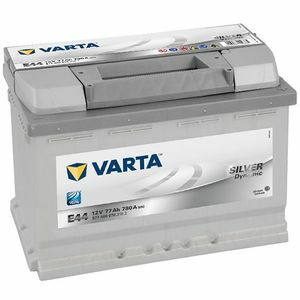 Excellent quality battery as you would expect from Varta with the exceptional service of Tayna batteries. Very good speedy delivery by Tayna. Battery fitted to my Jaguar X-type without any problems. An exact replacement for a battery that had performed well for nearly 10 years so I'm expecting good things of this one too. Very pleased with service. Helpful on the 'phone and quick delivery. Very please with battery in starting my big V8 in VXR8. The Tayna website is easy to use and informative, with all the dimensions and spec you need to make an informed decision. The prices are competitive too. An excellent service with delivery the next day. A great range of batteries. I've used Varta now on several vehicles and have found them very reliable and capable and perform well. They are now my go-to battery. Very good battery, at a very good price. Delivery was excellent. Very satisfied,thank you. Good upgrade from the original for a car that is sensitive to low voltage; significantly better starting. Compliant battery supplied very promptly and in perfect condition thanks to excellent packaging - well pleased with this purchase of a quality battery. The courier communications were good, however, I was informed on the morning (by email) that it would be delivered between 12:00 & 13:00 - in fact, according to delivery confirmation email from DHL Parcel UK it was delivered at 10:38. By chance I discovered it by my front door at about 11:00 and had been in attendance at home all morning ready to sign for it; no ring on the bell, which I confirmed was functioning. More concerning was the fact that courier states it was received by me at the above time - my acceptance signature must therefore have been forged!! Bought because it's 30% more powerful than the original ! Fivee year guarantee , for the same price as a lesser battery locally. Fantastic delivery, only let down by a courier who can't read " keep this way up". Will I use again ! Too right ! Fast delivery, good product. gladly again. Its doing the job perfect, it was only after getting the new battery, did I find out it was not the battery at fault but the main power lead to the starting motor was the problem. Any way great product, i pretty sure that I will have no trouble with it for at lest 5 years.